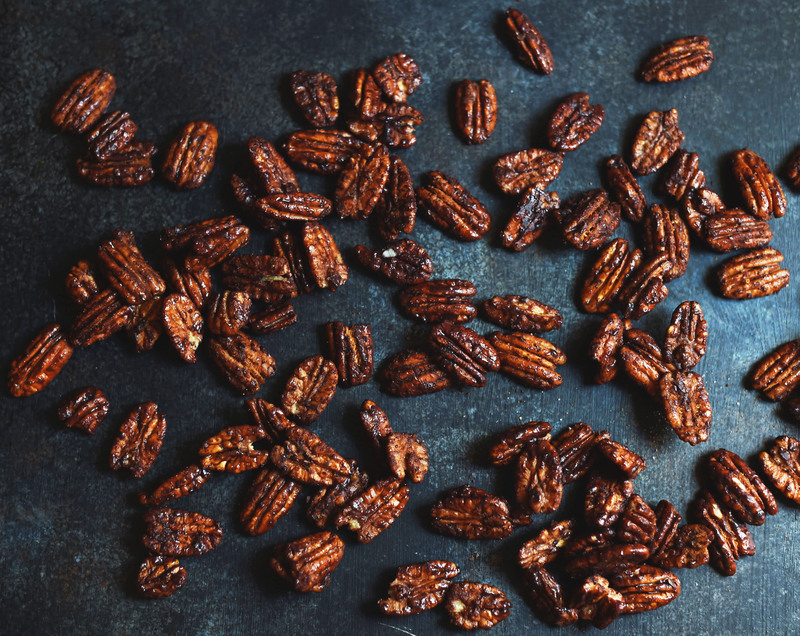 This recipe for Low-Carb Candied Pecans brings pecans to a new level. They are a flash to make and taste so good, it’s hard to believe they work in low-carb, ketogenic, Atkins, diabetic and Banting diets. These Low-Carb Candied Pecans combine the flavors of warming spices with sweet and nutty goodness. They have a light sweet, but not too sweet, coating that is bursting with cinnamon, ginger and exotic tones of cardamom. The nuts are lightly pan roasted in a bit of butter to bring out the pecan flavor. The end result is a candied nut you will want to make, and eat, over and over. These nuts are amazingly versatile. In fact, this recipe has solved all of your holiday problems! 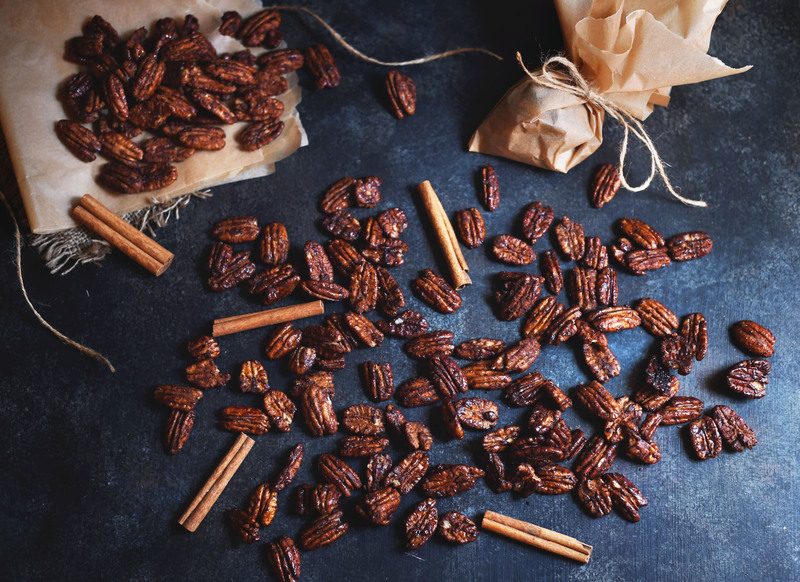 These candied pecans provide a bit of crunch in a salad, make a perfect hors d’oeuvre for a holiday party or are perfect to give as gifts to your low-carb friends. Need a special dessert? No worries! Serve these over ice cream for a lovely after dinner treat! 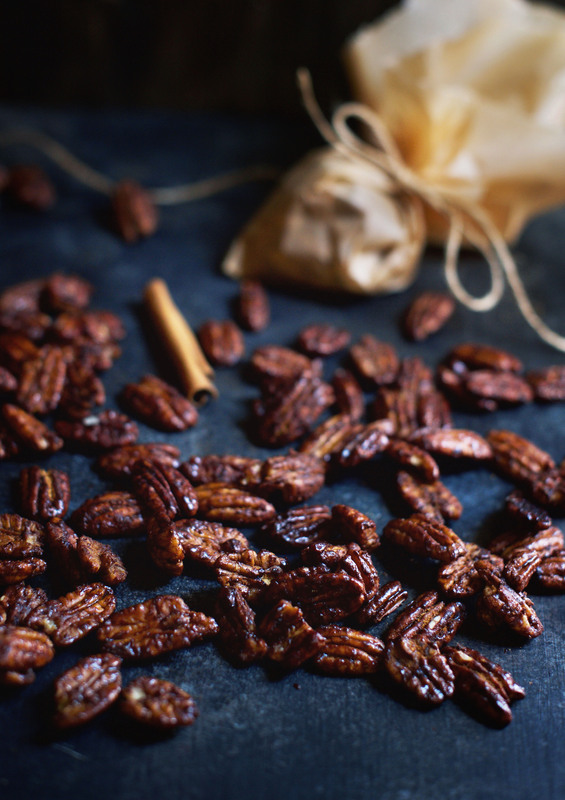 This recipe for Low-Carb Candied Pecans brings pecans to a new level. They are so good, it's hard to believe they work in low-carb, ketogenic, Atkins, diabetic and Banting diets. In a small bowl mix 1 1/2 teaspoons erythritol (reserving 2 Tablespoons for later), cinnamon, ginger, cardamom and salt. Set aside. Heat a medium skillet over medium low heat. Add butter, pecans, and two tablespoons erythritol/stevia sweetener. Turn heat to low setting. Cook, stirring occasionally, until sweetener melts, about 5 to 8 minutes. Add spice mixture to the skillet and stir to coat pecans. Spread mixture to parchment paper and let cool for 10-15 minutes. Store in an airtight container. I have no idea what that first ingredient is . We love candied pecans. Erythritol is a sugar alcohol used frequently in low-carb baking. It is a naturally occurring substance and is not associated with the side effects artificial sweeteners are. While the sugar alcohol family can cause digestive upset, erythritol is the LEAST likely to do this. Most people don’t have any reactions to this sweetener. These look great! I love nuts as a snack because they’re so filling. I love using stevia!! This is such a great recipe!! These look great! Last year one of my neighbors gave me some candied pecans that she made in her crock pot. Candied pecans make such a great gift! I made candied walnuts before but never candied pecans, I have to try this. Thanks for the inspiration! Love your blog! I don’t see the butter amount in the ingredients list. Oops! Thanks for letting me know. It’s there now. Two questions: One does the nutrition count include the nuts or just the coating? It says 2 1/2 tablespoons sweetener divided in the ingredients list but in the instructions it says 1 1/2 and 2 that totals 3 1/2… So which is correct the ingredient list or the instructions? 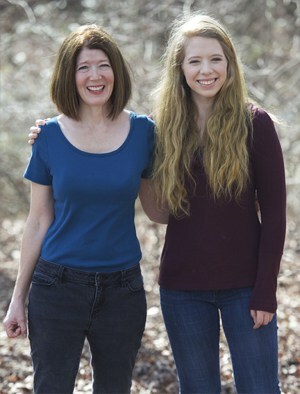 Thanks so much for checking out our site and trying our recipes! The nutritional count includes both the nuts and the coating. I do not include the sweetener because erythritol goes through our bodies without us metabolizing it. At first I was confused too when I look back at the recipe, but it is written correctly. The spices get mixed with 1 1/2 teaspoon (which equals 1/2 tablespoon) of the sweetener. The remaining 2 tablespoons sweetener are added later. I hope this helps. Let me know if you have any more questions. 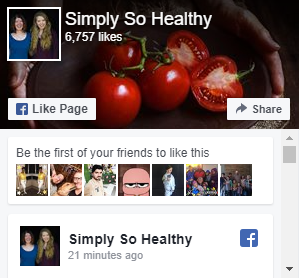 Again, thanks for checking out our recipes! Wonderful pecans- my first time using Pyure ( won’t be the last). I never thought to add ginger, thanks for the recipe. I just stumbled into your site while looking for a recipe for skillet toasted pecans. I’ll definitely look around . Thanks for stopping by our site and checking out our recipes! I love these candied pecans. They make such a great treat. Enjoy looking around our site! Made these last night..oh they are delicious! And totally satisfy my sweet tooth! Thank you for the recipe. I made this recipe for the first time and they came out tasting so bitter i am going to have to throw them away . I feel i may have cooked longer than recipe called for. Could this be the demise of my recently harvested pecans off my own tree? I want to try again as they look soooo delish!!!! Please help!? I’m not sure why they would have turned out bitter! My guess is that they were over-toasted. Perhaps you could try heating the butter and sweetener together for a few minutes before adding the nuts. This would decrease the amount of time the nuts are on the stove. Also a lower temperature may help. Stove temperatures can vary. How are your homegrown pecans when you roast them by themselves? I wonder if they may have a different make-up due to soil differences. I’m so jealous of your pecan tree! Planting one on our property is one of my goals for the next year.